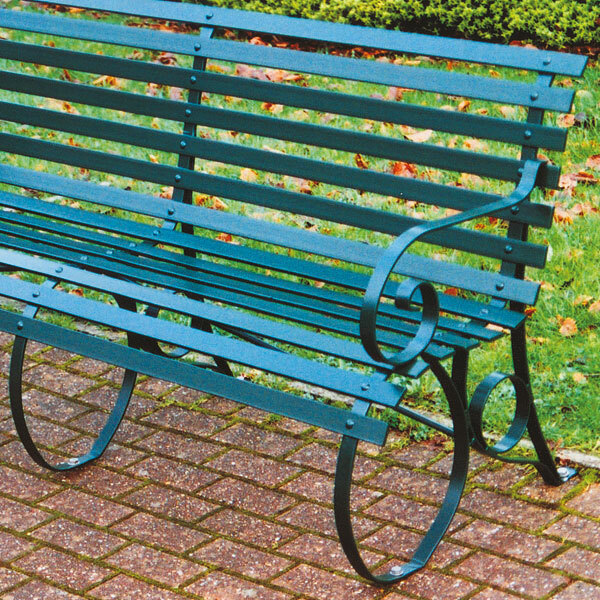 Wrought iron is the traditional material of the blacksmith. The name has medieval origins and literally means ‘worked iron’, referring to the physical work that went into the manufacturing process. Our seats are actually made using modern materials and coatings to enhance their practicality, durability and affordability. 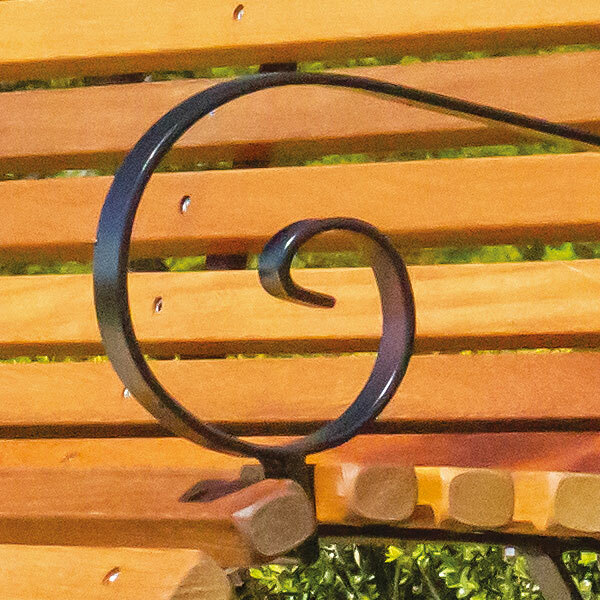 However, unlike some other manufacturers, we employ traditional hand forming techniques because this is the only way to reproduce the asymmetrical, organic curves achieved by the traditional blacksmith. 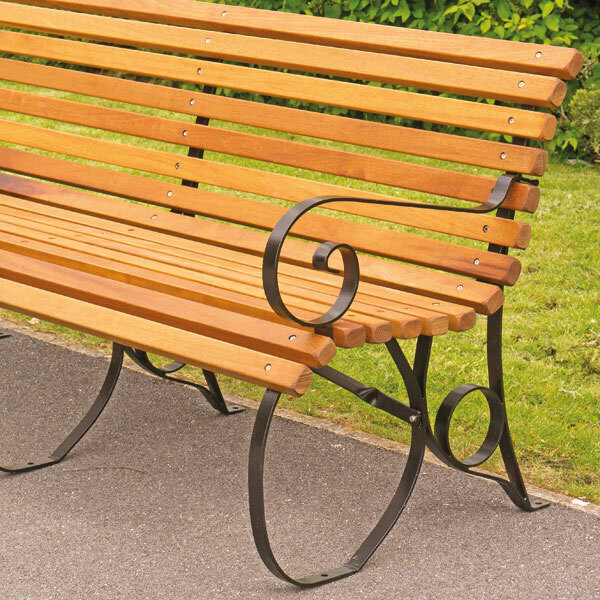 These seats are typically specified for historic parks, but are also suitable for a variety of other traditional settings. 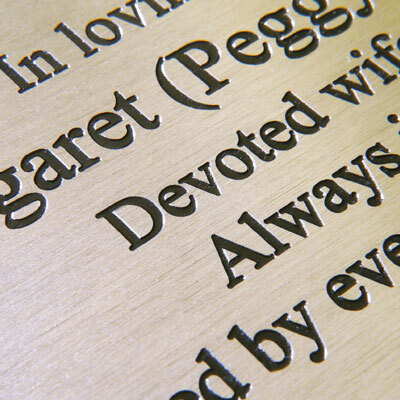 They are also suitable for commemorative purposes, for which several types of plaque are available with our inscription service. 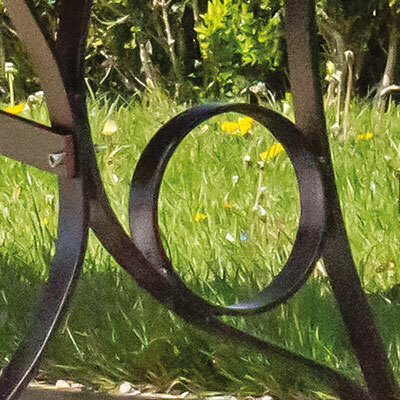 The elegance of this traditional seat, which originates from the end of the nineteenth century, is obvious. Subtle alterations to its construction have been made to make the seat both stronger and easier to manufacture, without compromising the integrity of the original design. Elegant yet practical, this design dates from the end of the nineteenth century.